A final, peerlessly poignant collection from an author once described by the New Yorker as ‘the greatest living writer of short stories in English’. 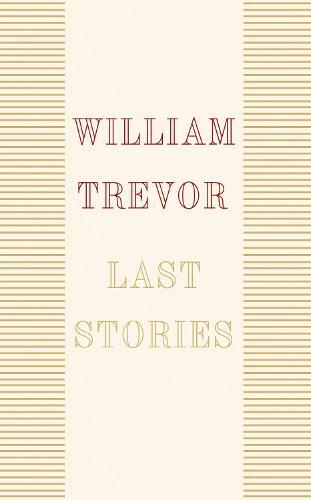 Completed not long before his death, William Trevor’s final story collection is the crowning achievement of a writer of unusual depth and sensitivity. In this final collection of ten exquisite, perceptive and profound stories, William Trevor probes into the depths of the human spirit. Here we encounter a tutor and his pupil, whose lives are thrown into turmoil when they meet again years later; a young girl who discovers the mother she believed dead is alive and well; and a piano-teacher who accepts her pupil's theft in exchange for his beautiful music. An acclaimed novelist and playwright, it is nevertheless as a peerless short story writer that William Trevor will be best remembered. Described as 'the greatest living writer of short stories in the English language' by the New Yorker, he was arguably the greatest exponent of the form of his generation. Combining his trademark wit, eloquence, comic timing and probing insight into the human condition, this, his last collection, is a worthy swansong to an exceptional literary career. Dubbed the best short-story writer of his generation, Irish author and playwright William Trevor’s work became an iconic portrait of Anglo-Irish politics and society in the latter half of the twentieth century. A prolific writer, ranging from black comedy to state-of-the-nation fiction, his best known works include: The Story of Lucy Gault, Fools of Fortune, Felicia’s Journey and The Hill Bachelors. This is the first book I have read by William Trevor and I will definitely be looking into all of the others! Many thanks to the publishers for sending me a copy to review.